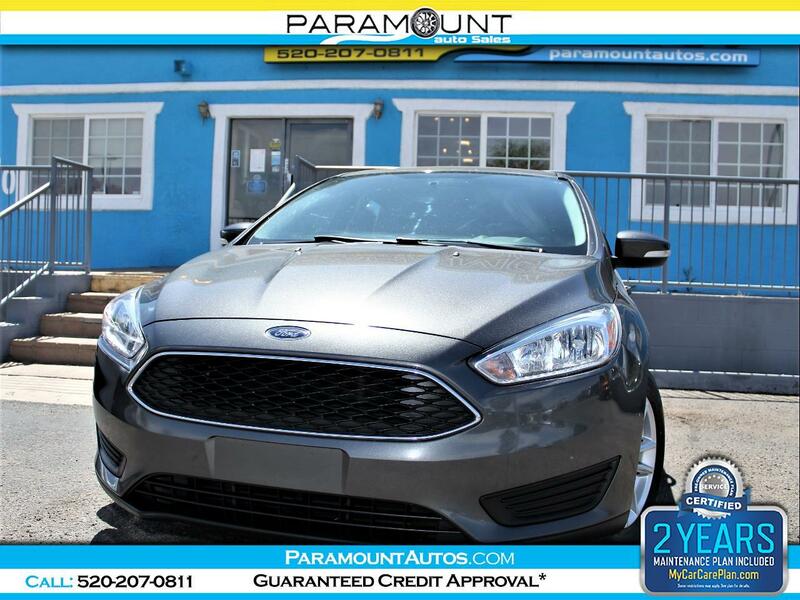 ABSOLUTELY BEAUTIFUL, 1-OWNER 2015 FORD FOCUS SE SEDAN IN LIKE NEW CONDITION!! MUST SEE AND DRIVE CAR, ABOUT AS NEW AND AS NICE AS IT GETS FOR A CAR UNDER $10K!!! THIS FOCUS HAS BEEN INSPECTED, IT COMES WITH A WARRANTY, CARFAX, AND 2 YEARS OF MAINTENANCE!! IT HAS MANY GOODIES INCLUDING BLUETOOTH SYNC INFOTAINMENT SYSTEM, MANY SAFETY FEATURES INCLUDING BACK UP CAMERA, FRONT AND REAR SENSORS, STABILITY AND TRACTION CONTROL AND MUCH MORE!! WE HAVE FINANCING AVAILABLE WITH OVER 30 CREDIT UNIONS AND MANY OTHER BANKS FOR ALL CREDIT TYPES... PRICED TO SELL FAST SO DON'T WAIT TILL ITS GONE, CALL TODAY!! !